Home Unlock Alcatel How to Unlock Alcatel X715? How to Unlock Alcatel X715? 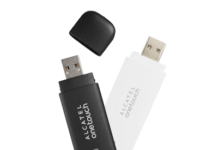 Alcatel X715 is a 3G dongle and unlock code is available for this device. Once the device is unlocked, you can use any another network provider SIM card as well as the default. The X715 features 42Mbps download speed and is built of Qualcomm MDM8215 processor. This modem measures 88.5 x 27 x 11 mm and in weight it is 26gms. It comes with 256MB NAND Flash + 128MB LPDDR. There are LED lights to indicate the different status of the data card. It has USB 2.0 port and supports up to 32GB of microSD card. How to Unlock Alcatel X715 with NCK? 1. Change the default SIM card with any another network provider and connect to PC USB port. 2. Open My Computer >> Virtual-CD ROM. 3. Install in PC if not already did. 4. Now run the X715 software. 5. It should ask you for 10-digit NCK. 6. Enter here correct unlock code which is provided by routerunlock.com. Once the code accepted, your Alcatel X715 will be unlocked forever. Now you can use any another network provider SIM card as well as the default. Previous articleHow to unlock LG U8330? Next articleHow to unlock Alcatel Y800B?